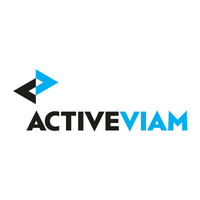 Activeviam are providers of precision analytics platforms that help organisations in finance and retail make better and faster decisions. 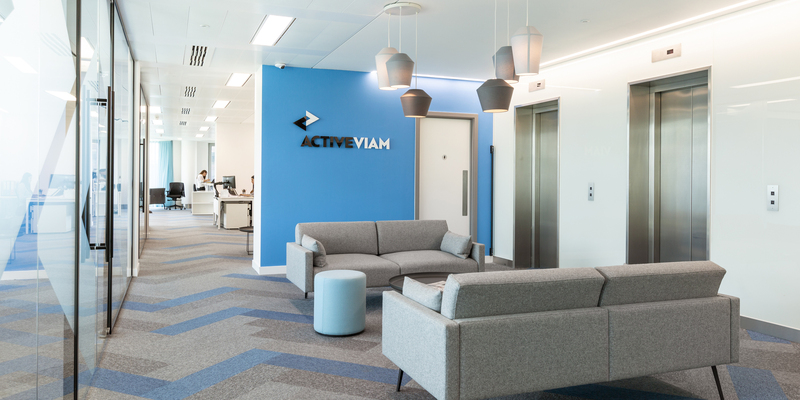 The company required a new space that would stand apart in the competitive industry market and, in turn, would help them to attract and retain talent. 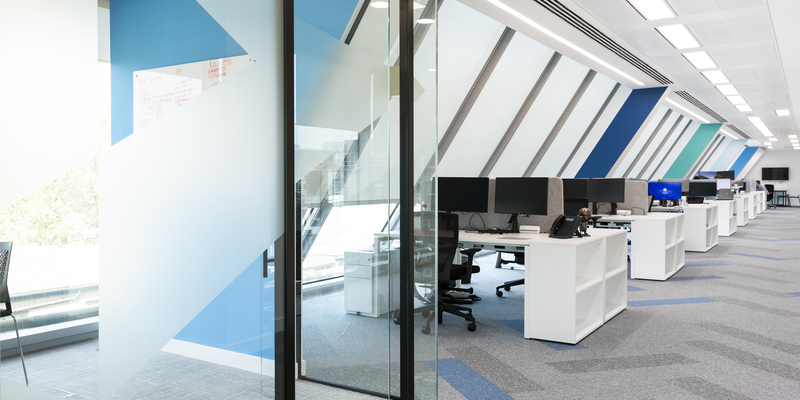 The brief for their new space encompassed a design that would define the company, helping them to differ from their competition and one that would also showcase the brand and their core values. 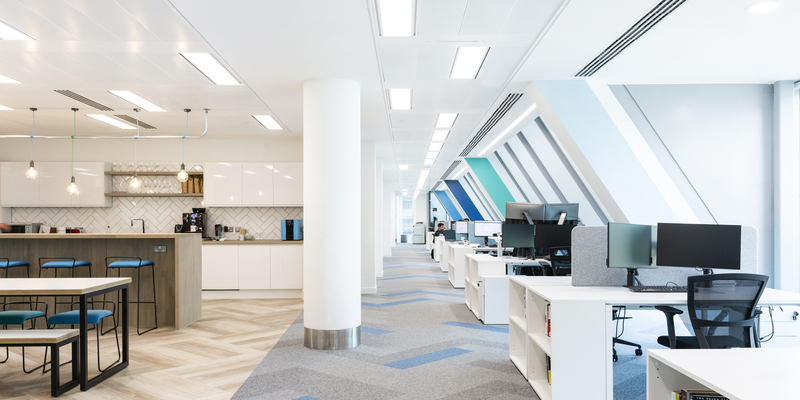 Brand integration was key to the project and is noticeable through subtle touches throughout the space, including integrated company colours in the herringbone flooring, walls and furnishings. 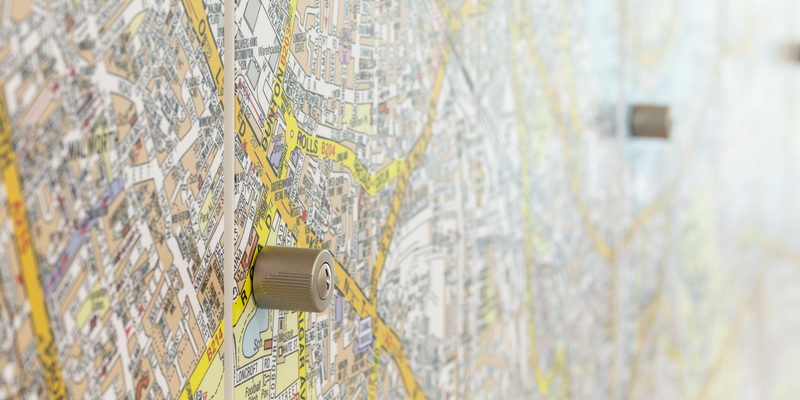 Key features: Feature graphics (huge A to Z map of London), large tea point/break out space, herringbone flooring.